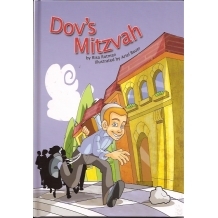 A young boy discovers that using our possessions to help do mitzvos will really take us far! 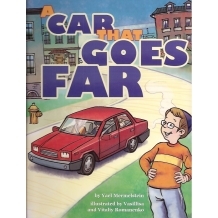 Join his family in their little car, as they offer rides to all their friends and neigh.. 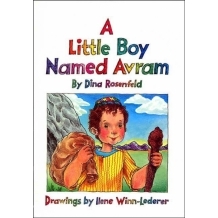 The famous tale from the Midrash of how our forefather Avraham, at the early age of three, discovered the existence of the one, true G-d. .. 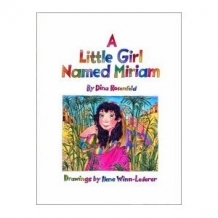 Clever and brave, little Miriam is a true Torah heroine. 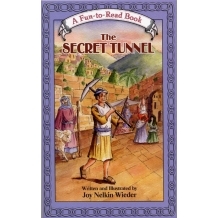 When King Pharoh wants to take all Jewish baby boys away from their families, Miriam watches her own baby brother and finds a way to keep hi..
A poor farmer and his wife are blesses with six years of riches. What is their secret to making the six years last a lifetime? 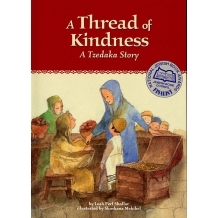 In this inspiring story of generosity, a thread.. 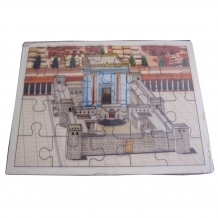 This whimsical Beit Hamikdosh puzzle is a beautiful addition to any puzzle collection. Made from 20 peices of this cardboard. Board measures 10" x 8". ..
Benny has always been a little brother who needed a helping hand. But when Mommy comes home with a new baby girl, he turns into a big brother! 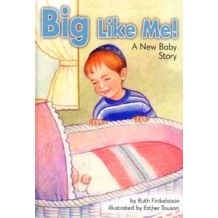 Will Benny find anything he and his newborn sister can..
Come one, come all, to the Great Shul Fair! 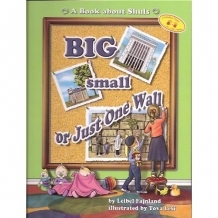 When the Great Shul Fair comes to town, children discover what makes each shul unique, and what makes all of them very much the same. Whether rig.. 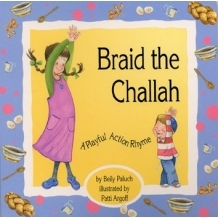 In this charming rhyme about making challah from scratch, enthusiastic children act out the motions of mixing, rising, taking challah, braiding and baking! 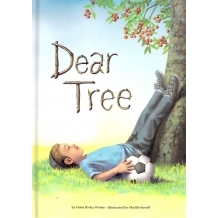 A unique board book for the ve..
A tree needs blessings, just as people do. On Tu B'Shvat, what New Year's wishes will a little boy have for his beloved, favorite tree? Written By: Doba Weber Illustr.. 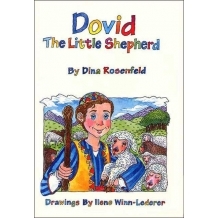 When Dov does a mitzvah one morning, little does he know who is watching... and what will happen next! An inspiring story about the power of even a "small" simple&nb..
Eleven-year--old Faiga lives with her family on a small egg and poultry farm. 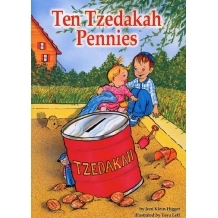 They certainly aren't rich, but Papa has always been able to give tzedakah and provide his family with.. 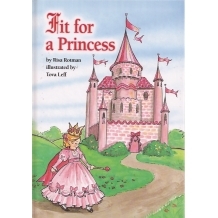 In this charming parable, a busy princess can't figure out what to wear as she goes about her busy day. 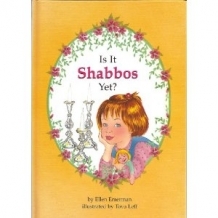 When she's not in her long, swishy gown and her fancy crown, what should a p..
By using their sense of sight, smell, hearing, taste and touch, the lively children in this book can always figure out which Jewish holiday has arrived. 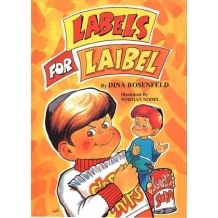 Written By: Dina Rosenfeld .. 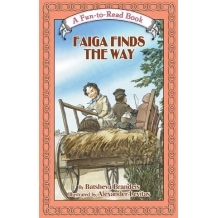 When the Rabinovich children arrive in America, they each bring a special gift from their grandparents back in Russia. Eleven-year-old Moshele uses his gift to help him adjust to b..
A charming, delightfully illustrated book, designed to lull your little one to sleep while teaching him Aleph- "Basics." 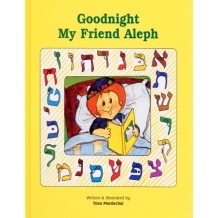 As he says "goodnight" to all his friends - from Eliezer Avraham ..
Simcha, the oldest boy, knows that Papa expects him to keep the family safe – and so begins this adventure. Life is hard, food is scare, and the Russian soldiers are cunning and .. 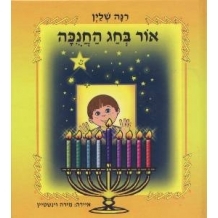 It seems that Levi's family has forgotten his birthday, so this clever little boy decides to make a Jewish celebration on his own. There's only one thing Levi forgot. He didn.. 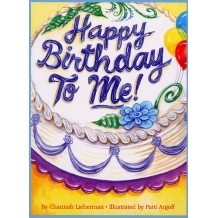 It seems that Leah's family has forgotten her birthday, so this clever little girl decides to make a Jewish celebration on her own. There's only one thing Leah forgot. 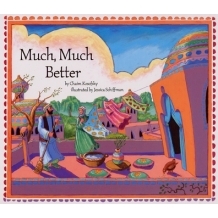 She di..
Children will be encouraged to say their Brachot with this delightful and colorful board book. 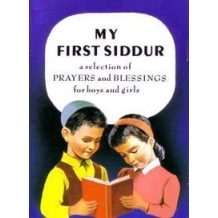 Filled with 11 pages of child friendly pictures and ryhmes. Great for all ages! 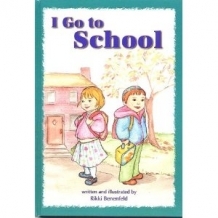 Measures..
A warm and cozy book about school for the very youngest children. From playtime to clean up, from davening and learning to story time and snack, every child will agree: School is fun! 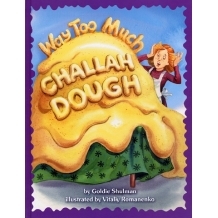 Made with..
Join a young brother and sister as they visit the dentist and leanr about the important mitzvah of keeping our bodies healthy! Made with laminated pages for extended enjoyment by little hands! .. I go to the Doctor! 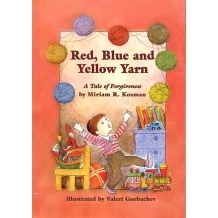 A warm and cozy book to familiarize young children with a visit to the doctor. 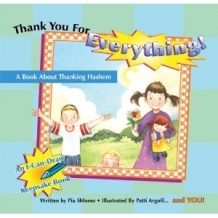 Every child will be glad to know that Hashem is the One who really makes people get well! 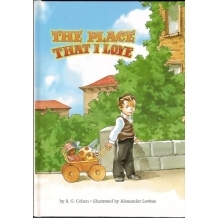 Made with laminated page..
Writte from the point of view of a young child, this unique picture book explores the many aspects of a visit to the Rebbe's Ohel. 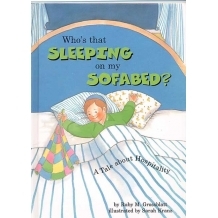 Page by page, the simple, moving text and realistic illustrations ..
A warm and cozy book about a young child's first sleep-over visit at a friend's house. Sharing at playtime, brochos at mealtime, helping to clean up, and saying 'thank you' are all important ways t.. Starting in their toy kitchen at home, a kindhearted sister is eager to show her little brother all he needs to know. 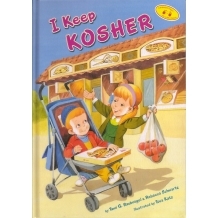 Keeping kosher every day means eating in a special way. 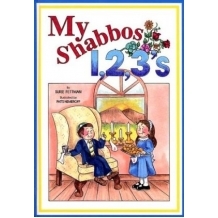 Written ..
Malking loves Shabbos, but first there's so much to be done! Join Malkie on her journey as she prepares to welcome the most special day of the week! 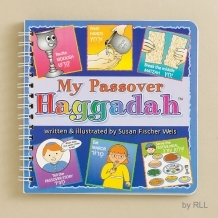 Made with laminated pages for extended enjoy..
Join Malkie as she prepares for Shabbos! 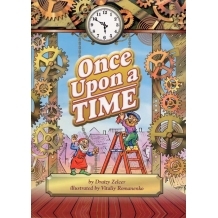 Perfect for ages 2-5 Hardcover, 32 pages. 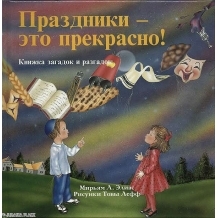 Yiddish .. 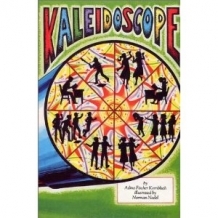 The characters in these stories are so deftly drawn, so real, that the reader can fully identify with their problems and predicaments. 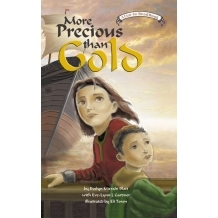 Each young hero or heroine utilizes Torah ide..
Laibel and Yossi are two brothers who have a hard time sharing their things with each other. 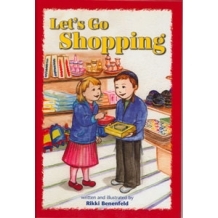 In this hilarious, ryhming tale, children will discover an important truth: "It's not only me and it's n..
Join a young brother and sister as they go from the butcher shop to the fish store, from the supermarket to the bakery, doing many mitzvot along the way! 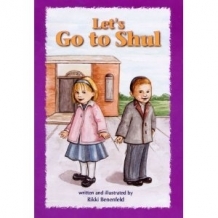 Made with laminated pages for extended ..
A warm and cozy book highlighting the joy of going to Shul of Shabbos morning. 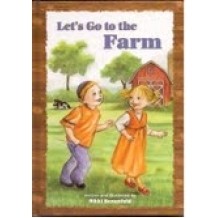 Join a young brother and sister as they put on special clothes, daven with their friends, kiss the Torah, and get a yu..
Join a young brother and sister as they help feed the animals, pick fruits and vegetable, and discover the wonders of Hashem on their exciting visit to a farm! 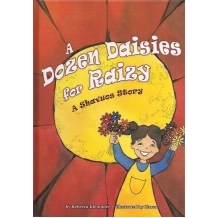 Made with laminated pages for ext..
Join a young brother and sister as they meet police officers, firefighters and other community helpers. Hakoras Hatov means seeing the good these workers do in our neighborhood! Written and.. The wise and understanding Rabbi of Keppel is really put to the test! 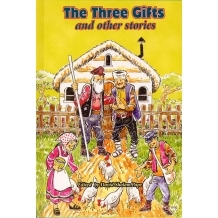 When the richest man in town won't share a penny with anyone, when something mysterious is wrong with all the ..
Two little dresses were all Gittel had, But she always felt happy and never felt sad. 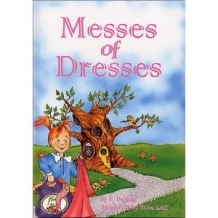 Then one day a new friend arrived at her door, With dresses and dresses and dresses galore! 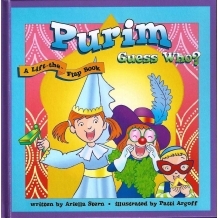 Wit..
Sara’s parents will do anything to live and raise their children as Jews. In Spain during the 1490’s, that means leaving wealth, valuables and a comfortable life behind to set ..
A must for first-time school-goers! The big day is fast approaching! Moshe will be going to school, for the first time, on the big yellow school bus! But is he ready? 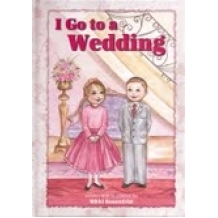 This adorable book w.. 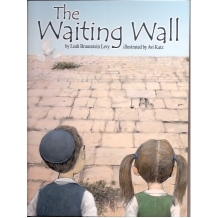 In this adaptation of a tale of Eliyahu Hanavi, a young couple tries hard to extend hospitality to a vistor. 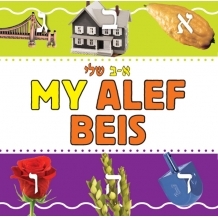 Yet, after the beautiful Shabbat meal they serve him, their elderly gue..
A delightful first alef beis book full of Torah and everyday images -- perfect for your little ones! 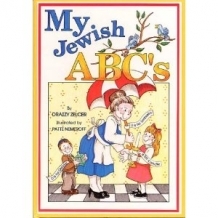 The extra-thick pages of this sturdy board book wil..
Do you know the alphabet, the letters A to Z? Each one has a Jewish word that you can learn with me! ..
Danny and DIna can count to ten. As they set the Shabbos table, Let's count along with them! 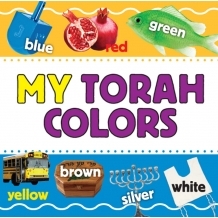 ..
A delightful first colors book full of Torah and everyday images -- perfect for your little ones! The extra-thick pages of this sturdy board book will stand up to extended use. 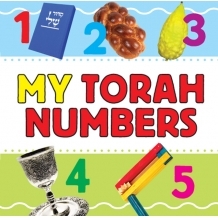 ..
A delightful first numbers book full of Torah and everyday images -- perfect for your little ones! 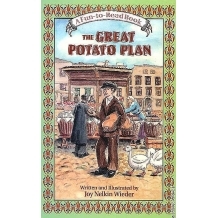 The extra-thick pages of this sturdy board book will stand up to extended use. 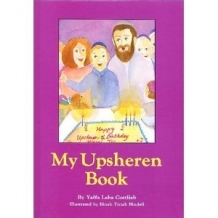 ..
Join a three-year-old boy as he experiences the excitement of his upsheren birthday. 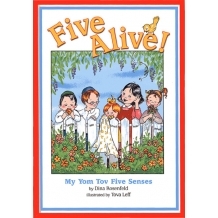 This book, told from a child's point of view, is meant to be enjoyed before, during and after the happy occasion..
For a 3-6 year old, this book is simply an enjoyable story about the value of time in Jewish life, with whimsical illustrations and humorous rhymes. 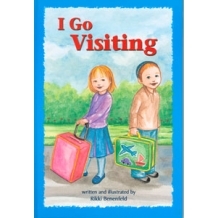 For older children who are read.. 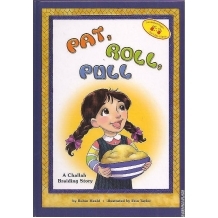 It's Friday, Today, for the very first time, Leah and her preschool classmates will get the change to braid their own Challah. 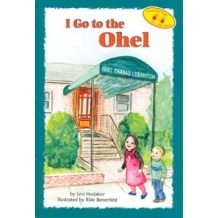 But, since Leah can't braid by herself yet, what will her friends ..
Yossi and Laibel try something new In this rollicking, ryhming adventure for two! Take their example and you'll find out why You can only succeed if you willing to try! 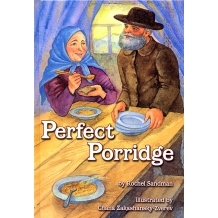 Made with la..
Zayde Mendel wants to do his share of kindness and cook porridge for hungry people during the War. 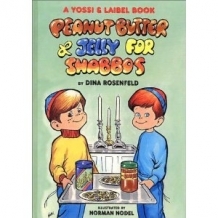 The problem is, as Bubbe Hinda points out, he’s never cooked anything in his li..
Donny isn't sure what Grandma thinks of him...she is so proper and his behavior is far from perfect. 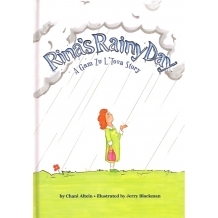 Yet, when Donny gets tangled up in some trouble, Grandma reveals the secret tha..
Every time Rina makes plans for her day, all kinds of things seem to get in the way. But instead of complaining she knows what to say. "Gam Zu L'Tova, I trust this is good, Hashem .. 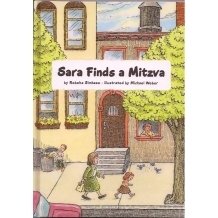 When Sara finds a little toy lamb, she and her Bubby embark on a search for the owner, all in order to do the mitzvah of returning lost items, Hashovas Aveida! Written By: Rebeka Sim.. When a terrible drought befalls Eretz Yisroel, two messengers are sent to the great Abba Chilkiya to pray for rain. 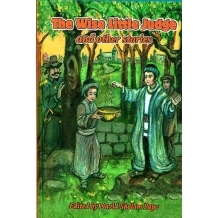 The wise man's actions are most unusual, but at the end of the story, both ..
A classic Jewish childrens' story book reprinted! 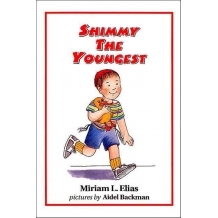 Shimmy is the youngest in his family, and it seems as if he always has to wait for everything! He’s the last one to get a sip from ..
What happens when a liitle boy has ten pennies to share with his large, loving family? Everyone gets a mitzvah and a lesson in subtraction as each coin disappears into the tzedakah..
Who's the One to thank for... Your family? Your favorite food? The where you live, and so much more? 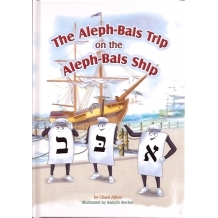 Use the special drawing pages in this book to show exactly what wonderful things Hashem ..
A toy ship, a pack of Aleph-Bais cards and a load of imagination combine to create an adventure on the high seas. 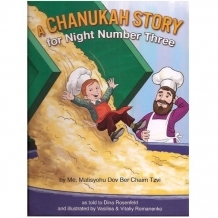 Written By: Chani Altein Illustrated By: Baruch Becker Perfe.. 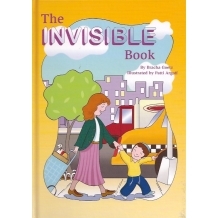 In this rhyming book, a young boy ponders the invisible nature of many things that are indisputably real. 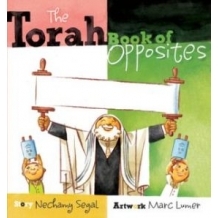 An excellent introduction to important Jewish concepts for the very younge.. 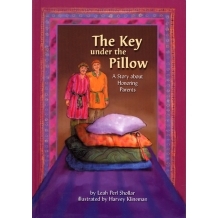 In this classic tale of Kibbud Av V'eim, the key to Dama's chest of precious gems is hidden under his father's pillow. 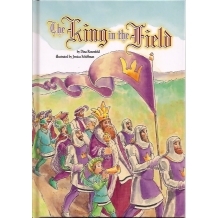 Will Dama wake his father to get the key and make the sale of..
Five good friends spend an afternoon together in the field, wishing they could somehow enter the palace for a meeting with the king. What kind of surprise is in store for them, and..
Mitzvos begin at home! 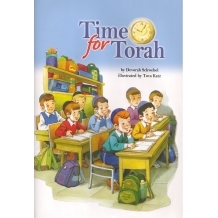 For young children, the excitement of doing mitzvos lurks around the nearest corner and goes along from room to room! The Place That I Love details which mitzvos a..
During the time of King Chizkiyahu, dark days lay ahead for Yonatan and the Jews of Yerushalayim. The wicked King of Ashur, Sancheriv, was about to surround the city. 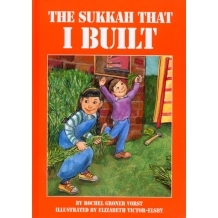 The ene..
“This is the Sukkah I built by myself. . .” or is it? 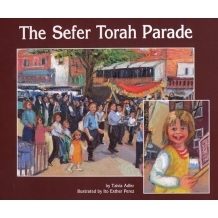 A young child joins in the rollicking fun of hammering the walls, climbing the ladder and putting schach on the family sukkah.&n.. 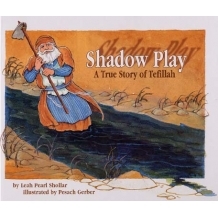 This collection of stories includes tales of Jewish courage, classic tales of heroes and heroines from long ago, and holiday stories from around the year, in which; a young boy saves the..
Children will love this warm and fun book about some of the opposites we see in the Torah! 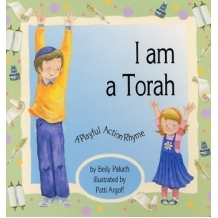 In Torah, out Torah, dance all about Torah! 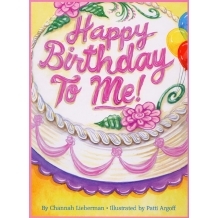 Written by Nechamy Segal, Artwork by Marc Lumer Bo.. In the old city of Yerushalayim, a certain Wall is waiting. 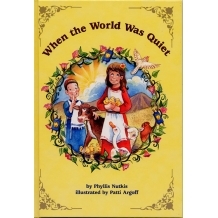 This touching narrative details a child's impressions of the Kosel Hamaaravi... the ancient stones, the notes stuffed in..
A unique collection of stories for children ages eight through twelve. 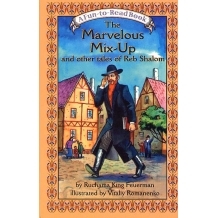 Included in this exciting collection are Yom Tov stories, fascinating incidents from the days of the Baal She.. 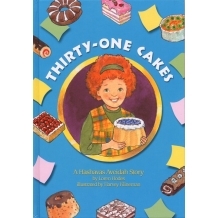 While Estie is helping her mother bake thirty-one cakes for a tzedakah bake sale, something very precious gets lost! Will anyone find and return Estie's gold ring? Join our little heroin.. 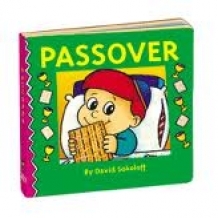 Explore Passover customs and symbols with this engaging board book! Children will enjoy the the sensory experience while learning all about this amazing holiday! Great for all ages. 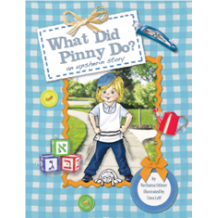 ..
Pinny is a happy, active two year old with a little problem. His hair is getting longer, and it's always in his eyes! His mother tries to tame it with a clip, but it doesn't st..
A fun way for toddlers to learn everyday vocabulary! 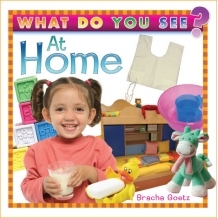 Teach your toddler about common household items with this bright and colorful word-and-picture book.. 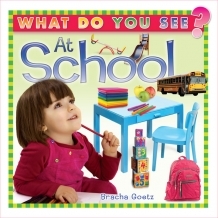 Teach your toddler about school with this bright and colorful word-and-picture book! Children will learn basic vocabulary while becoming familiar with the objects and concepts that fill their world..
A fun way for toddlers to learn everyday vocabulary! 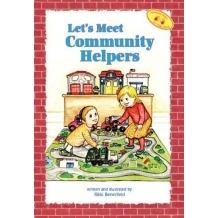 Teach your toddler about your neighborhood with this bright and colorful word-and-picture book! Children will learn basic vocabulary while b.. 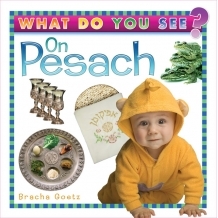 This brightly colored board book is a great way for young children to familiarize with the symbols and customs of Pesach. Book measures 6.5 x 6.5 inches. Great for all ages! ..
A fun way for toddlers to learn vocabulary! 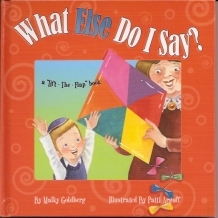 Teach your toddler about Shabbos with this bright and colorful word-and-picture book! Children will learn basic vocabulary while becoming familiar wi.. It's so much fun to open-the-flap in each picture and discover exactly what Jewish phrase or polite word to use in every situation. 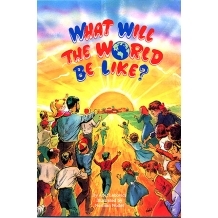 Written By: Malky Goldberg Illustrated B..
Did you ever wonder what the future holds in store? Most people have, including young children who ask their parents probing questions. Jewish tradition has much to say about.. 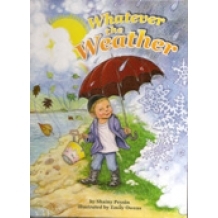 In this beautifully illustrated, rhyming picture book, a young boy and his lively family enjoy every type of weather that Hashem sends their way. And at the end, it becomes clear exactly how snow, ..
Who's That Sleeping On My Sofabed? Yoni Block loves to sleep on his family’s new sofabed. But it seems that only visitors get a chance to use it. 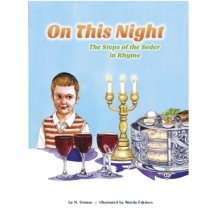 Join Yoni as he welcomes a Rabbi, a Sofer, and a Chosson to h..